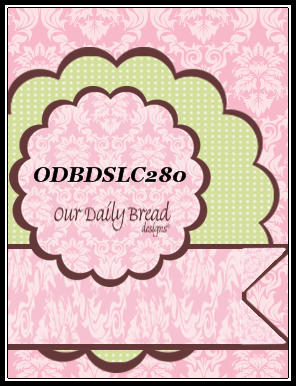 Welcome to the November 2016 Our Daily Bread Designs “Shining the Light” ODBDSLC280 Sketch Challenge! You have until November 27, 2016 to join us for a chance to be spotlighted for the Shining the Light award or to win a $15 ODBD gift certificate (one random participant will be chosen). 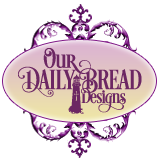 To be spotlighted for the Shining the Light Award, you must use ODBD stamps (or stamps from our sister companies: North Coast Creations or Artistic Outpost). I designed this card with a few items from the ODBD November 2016 New Release- Jesus Loves You Stamp/Die Duos set, Holy Night Die, background paper from the Christmas Card Collection 2016 Paper Pad (from the October release) as well as a fewother previously released ODBD dies. Emboss a piece of white cardstock with the ODBD Flourished Star Pattern Die, trim the edges slightly and mount onto the piece of designer paper from the ODBD Christmas Card Collection 2016 6x6 Paper Pad. Trim the designer paper and mount onto the dark navy cardstock, trim again and mount onto the white card base. Die cut the ODBD Holy Night Die from dark navy cardstock and trim off the wise men (to create the “circle” for the sketch element). Die cut three pieces from white cardstock using the die in the ODBD Jesus Loves You Stamp/Die Duos set, layer the three together and set aside. 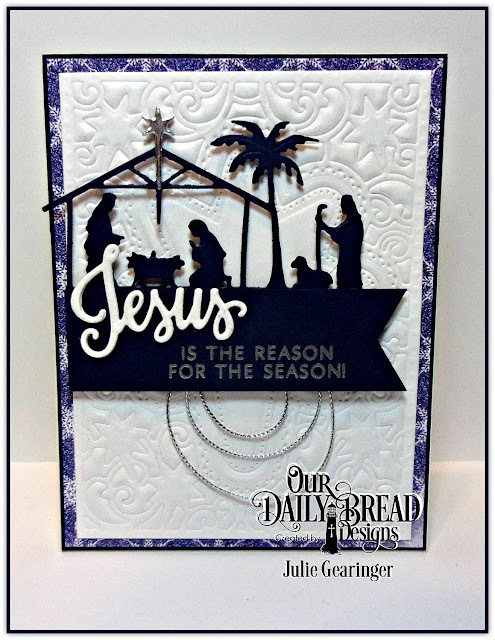 Heat emboss the sentiment “Is the Reason for the Season” from the ODBD Jesus Loves You Stamp/Dies Duo Set with silver embossing powder onto a piece of dark navy cardstock and create the flag banner by hand. Die cut the small star die from the ODBD Holy Night Die from silver foil and adhere over the navy star in the nativity scene. Add the looped silver cord (for the lower circular element in the sketch) to the card front, mount the ODBD Holy Night Die cut with dimensional foam and add the banner lining up with the bottom of the ODBD Holy Night die cut. Mount the ODBD Jesus Loves You die cut to finish off the card. 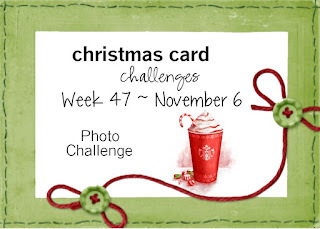 I am also linking this card to the Sparkle Creations Christmas Card Challenge SCCC47 Challenge :-) (I did not do the optional challenge this week) and the Addicted to Stamps and More #218 Holiday Challenge. Thanks again for taking the time to stop by! 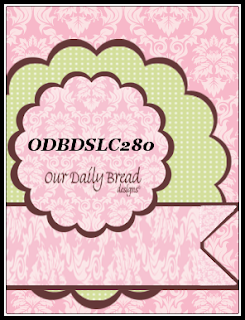 We hope you will be able to join us for the ODBD Shining the Light ODBDSL280 Sketch Challenge! Oh Julie, this is so beautiful!!! So very creative and says it all! I love the new Jesus die (I think I will have to have the set JUST for that!) and it goes so well with the Nativity die set. Beautiful with the Flourished Star die embossed as your bg too instead of cut out. What a great combo of dies and sentiment! Beautiful way to use the die as an embossing tool! Julie, what a gorgeous card and a wonderful sketch card! I love your take on the sketch and agree that the embossed background is wonderful with the silhouette nativity die! Stunning, sweet friend, and it is all about Jesus coming to earth to save His people from their sins. Hugs and love! What a stunning and gorgeous nativity card, Julie!! I just love the embossed white background with the black silhouette nativity and the touch of silver cording!! I am in awe! Stunning take on the sketch my friend! Perfect card! Thanks for joining us at Addicted to Stamps and More!